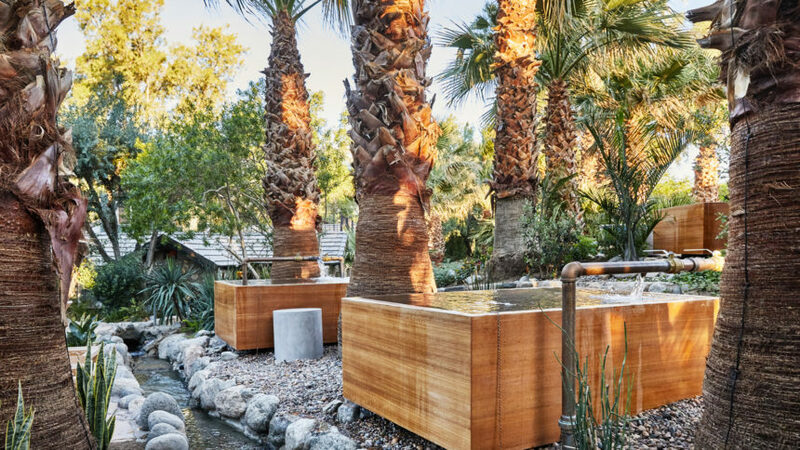 Decades later, the expectations of a desert garden in cities like Palm Springs have finally caught up with what Martino was pushing. And in “Desert Gardens of Steve Martino,” a beautiful study of his work—out on The Monacelli Press on April 3—those gardens get their due with crystal-clear explanations and envy-inducing photography. The book, which grew out of collaborations between Martino, his longtime photographer colleague Steve Gunther, and author Caren Yglesias, makes a convincing case that the Arizona-based landscape architect was one of the driving forces behind both using native plants in desert gardens and tying those enclosed spaces to the surrounding ecosystem. Martino’s work in Palm Springs is represented in “Desert Gardens” by two different projects done for clothing maven Marc Ware. 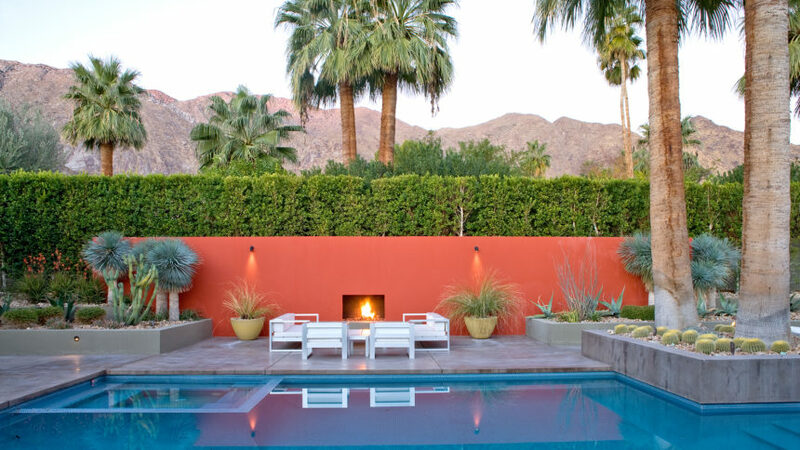 Bursts of color dot both, especially on the privacy-guarding, often curved or angled walls around the perimeters of the back yards, the influence of Mexican architect Luis Barragan in hue and L.A. architect Franklin Israel in shape. Today? 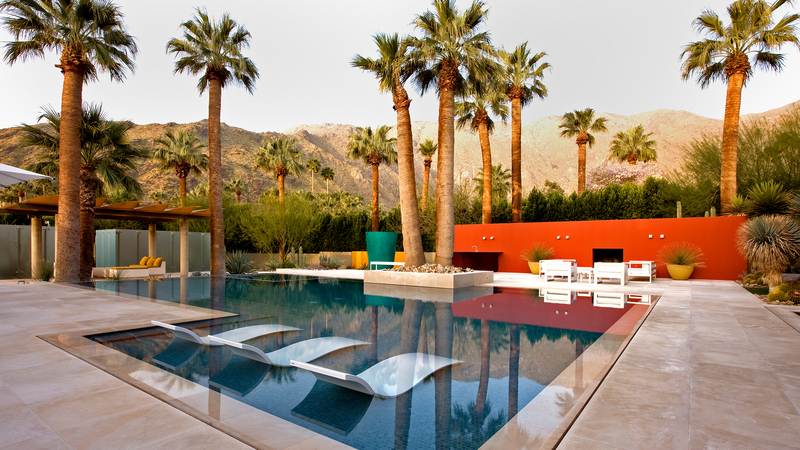 Take a walk through any neighborhood in Palm Springs or the surrounding cities. Look at the landscaping at Two Bunch Palms, or other public spaces. The DNA of Martino’s work runs through all of it. As gorgeous as the photographs of “Desert Gardens” are, though, it takes standing in those spaces to understand the full power of Martino’s work. According to Yglesias, the tension between confined space and the vastness of the desert is the charge behind every angle and view. *Featured photo by Steven Gunther, courtesy of The Monacelli Press.